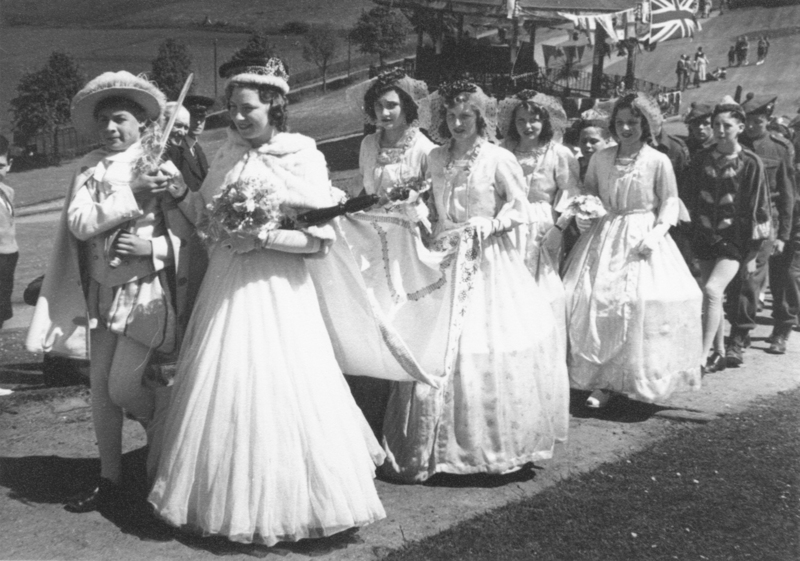 The first Gala day that we have on record took place on Saturday 19th June 1948. 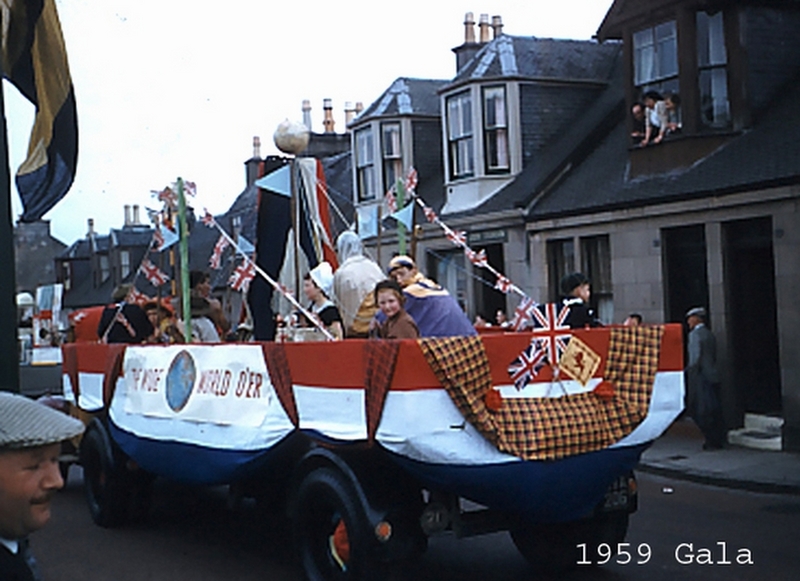 The chairman of the Gala Committee and the County Council of that time was Robert Brodie who served from 1948-52. 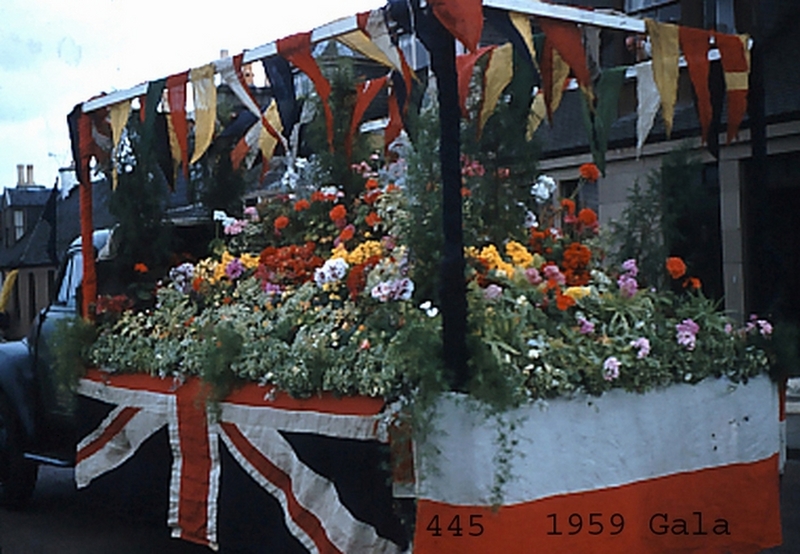 The Gala Queen during this period was called the ‘Queen of the Roses’. 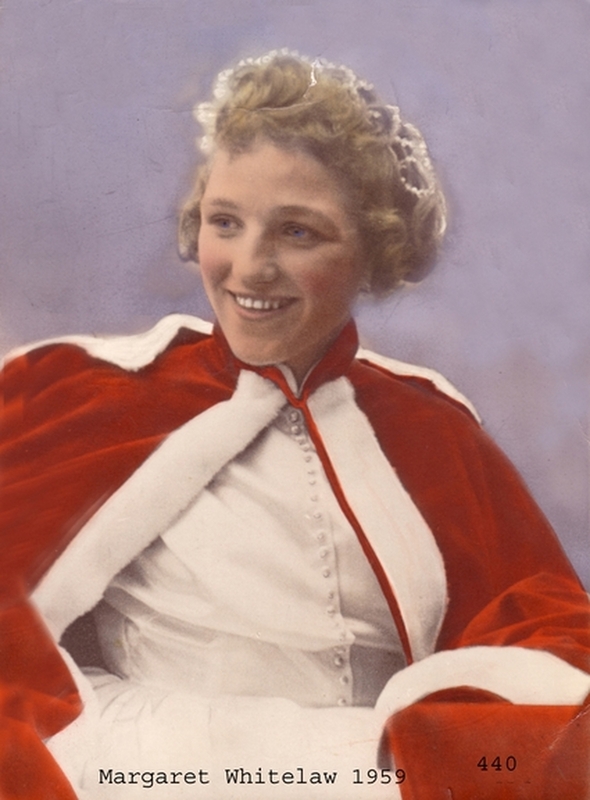 The first Queen was Anne Elliot and her Champion was James Aitken. 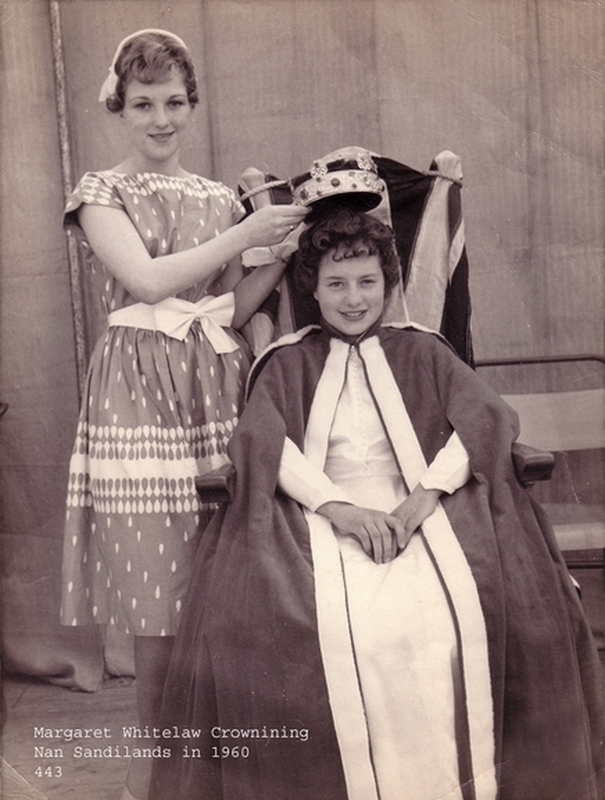 The venue of the crowning ceremony was the bandstand in the public park. 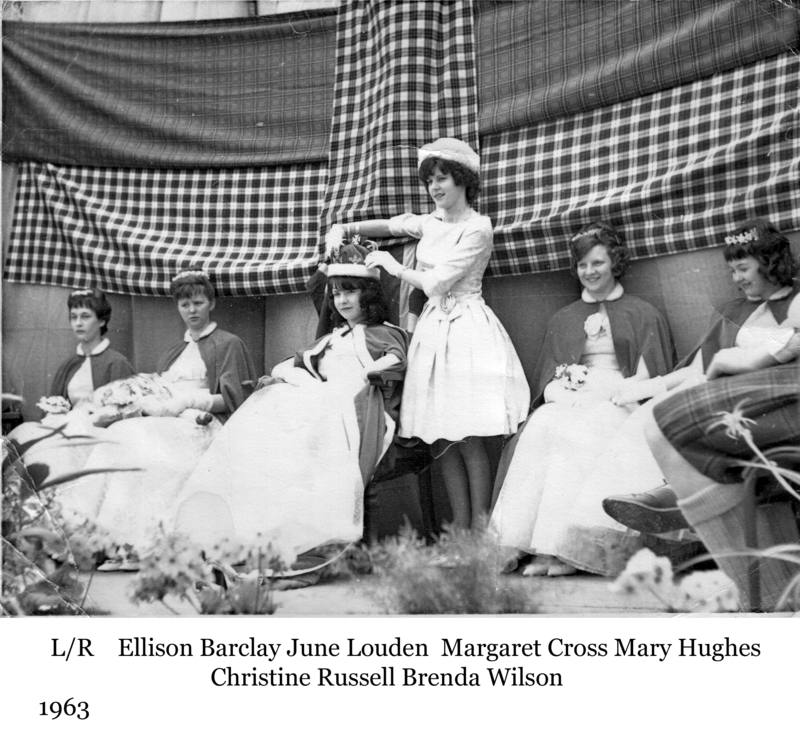 Following the ceremony the Queen and Court would visit Stonehouse Hospital, a tradition still upheld today although this now incorporates the nursing homes. 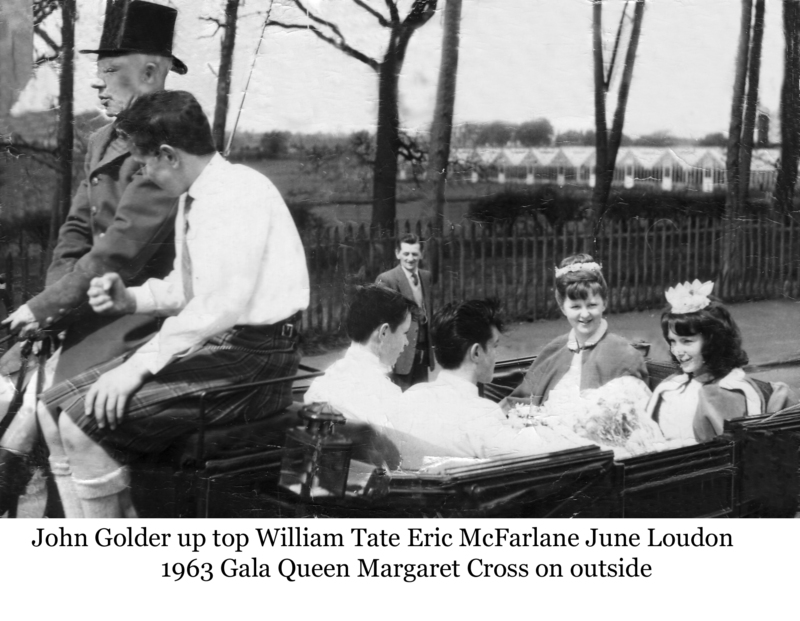 On Gala day, inscribed commemorative medals were presented to the Queen and Court. 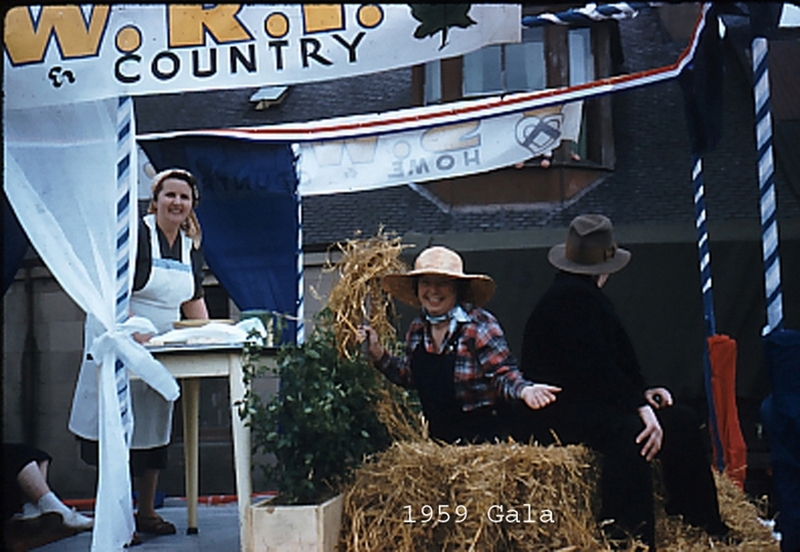 Food rationing was still in force so application to the food office was essential to produce supplies for the large gathering of people attending the event. 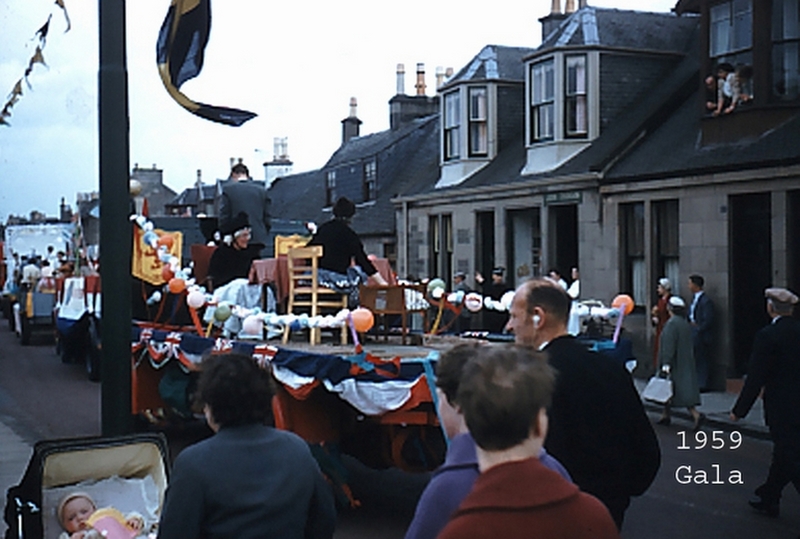 Stonehouse Merchants’ Association presented the committee with a cheque for £50 (reckoned at the time to be a magnificent sum) to set in motion an annual Gala Day as the initial one was deemed a great success. 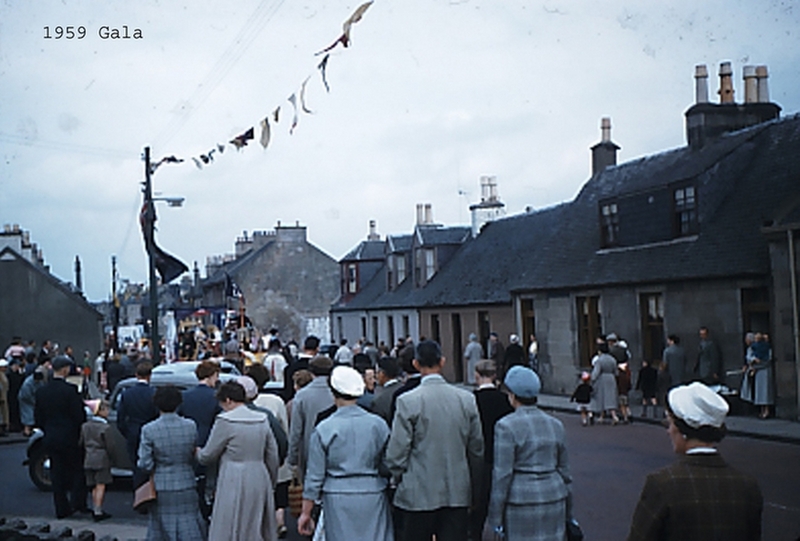 Gala Days from 1949-1952 followed more or less the same format, lapsing between 1953 to 1958. 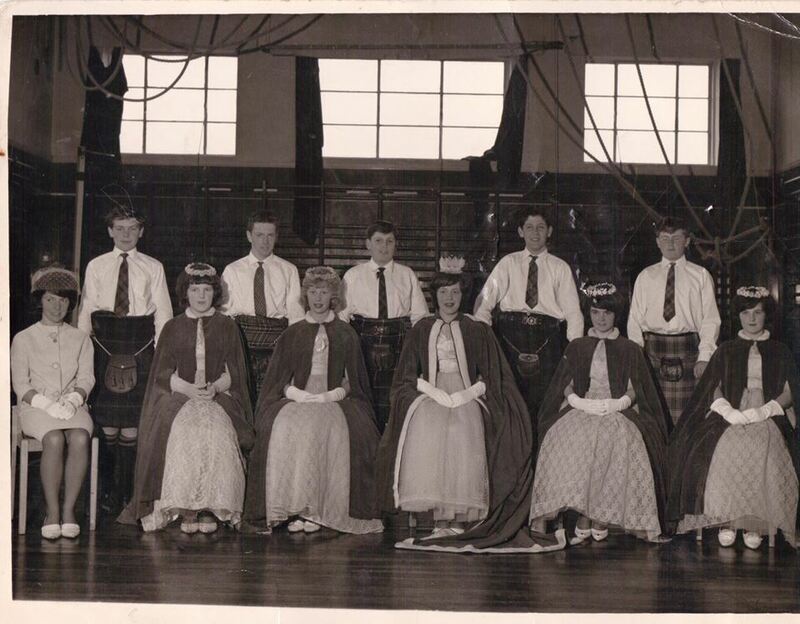 In 1959 a meeting was called to revive the event, to be held in May, changing the name of the ‘Queen of the Roses’, to the ‘May Queen’, and the ‘Boy Attendant’ to ‘Herald’. 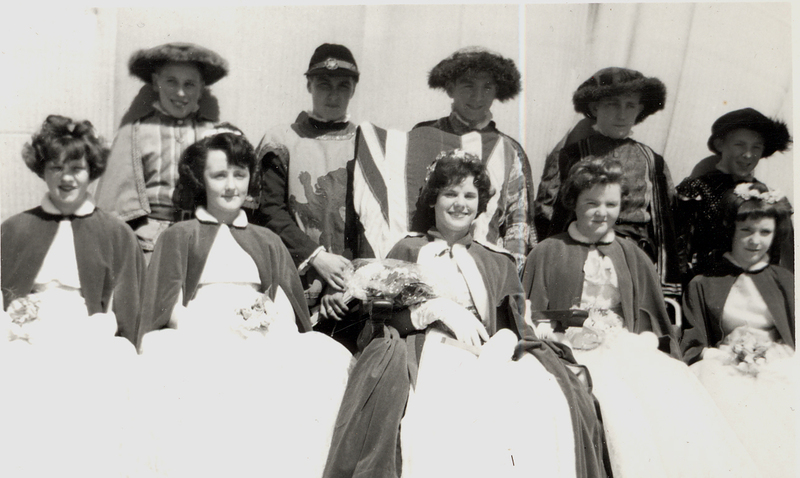 Mr Jack McEwan was chairman from 1959-1964. 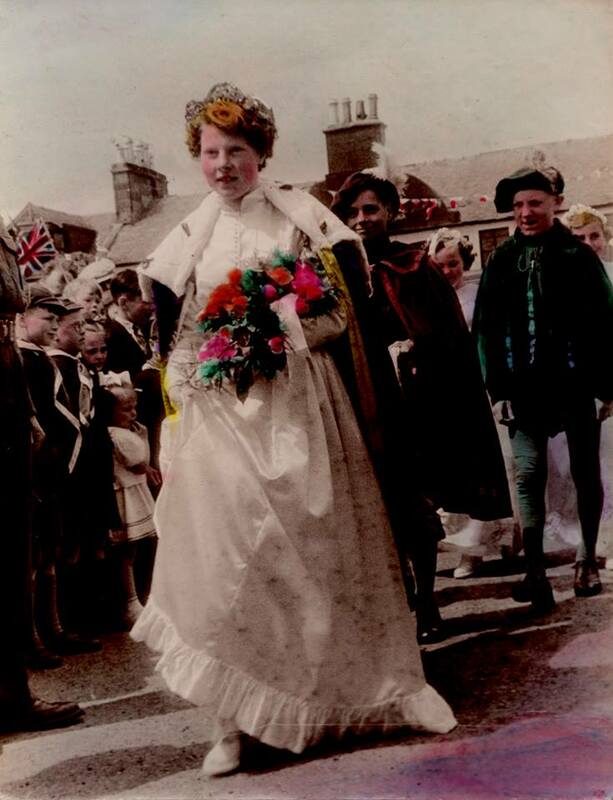 A horse drawn open Landau was hired from the Co-op to transport the May Queen to the park. 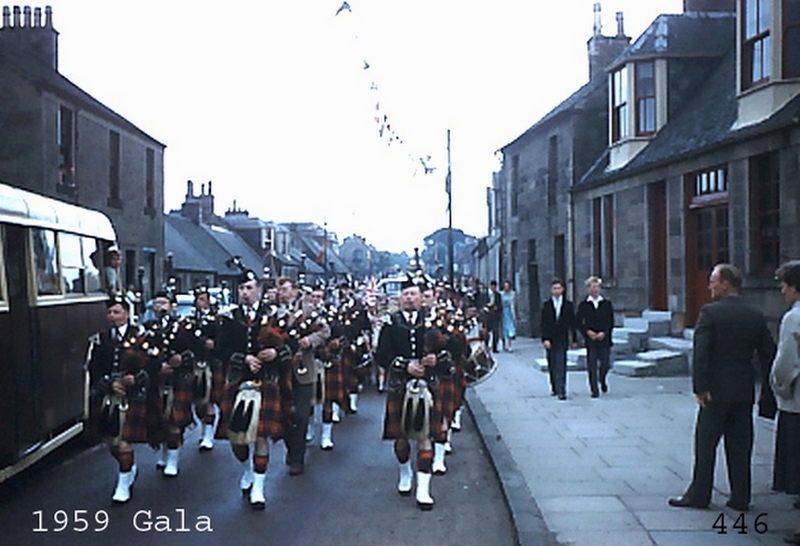 Stonehouse Silver Band and Larkhall Silver Band were regulars at the Gala days whilst Stonehouse Pipe Band had only a few members during this period and were not regulars. 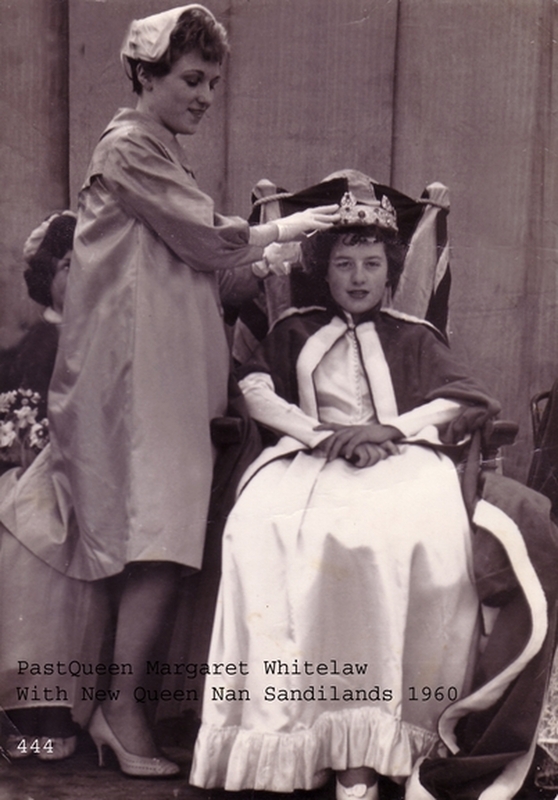 During this period the Tilework Park in Union Street was used for the Crowning Ceremony drainage problems with the park caused it to be waterlogged on occasion. 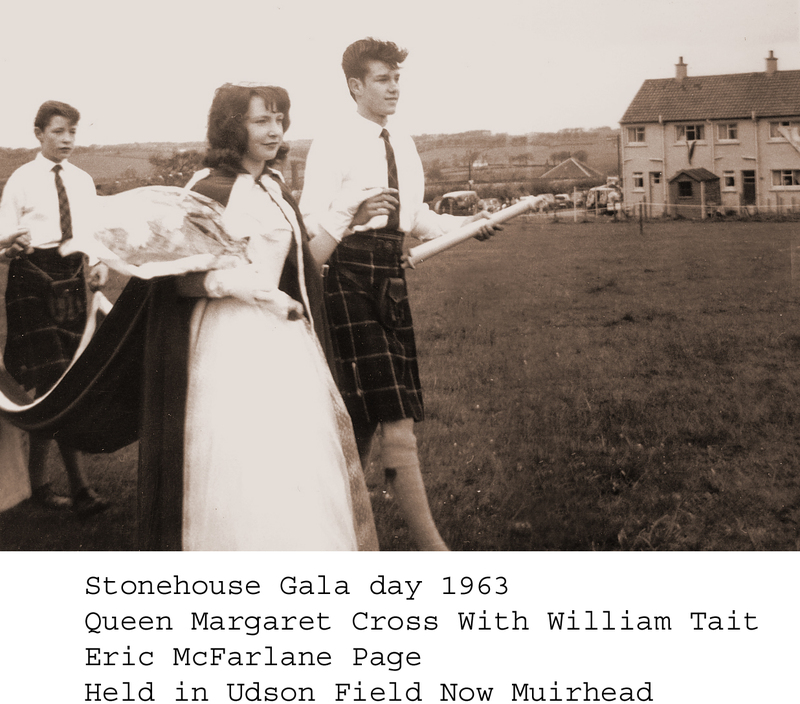 Its also recorded that on at least one occasion Guy Hamilton’s field off Udston Mill Road had to be used in an emergency. 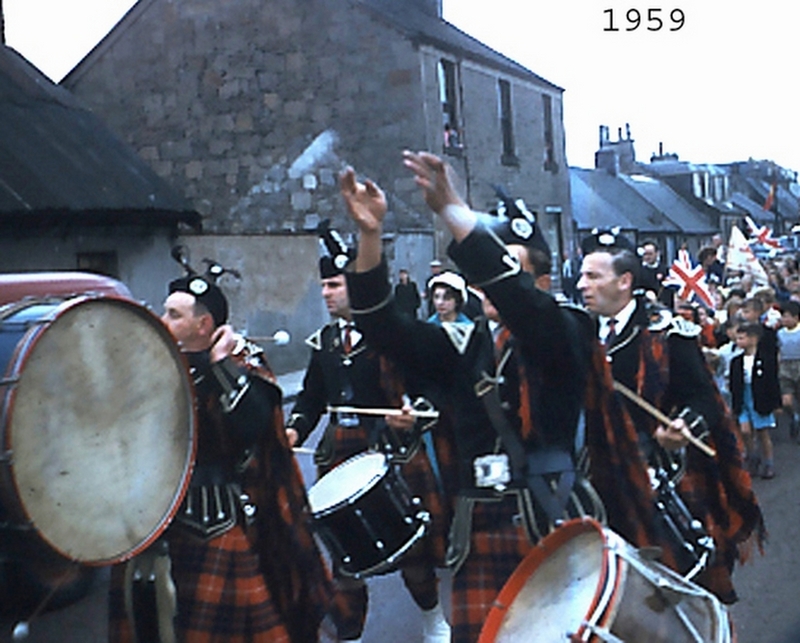 Before 1963 the boys had worn Elizabethan type costumes, but by 1964 they had converted to kilts. 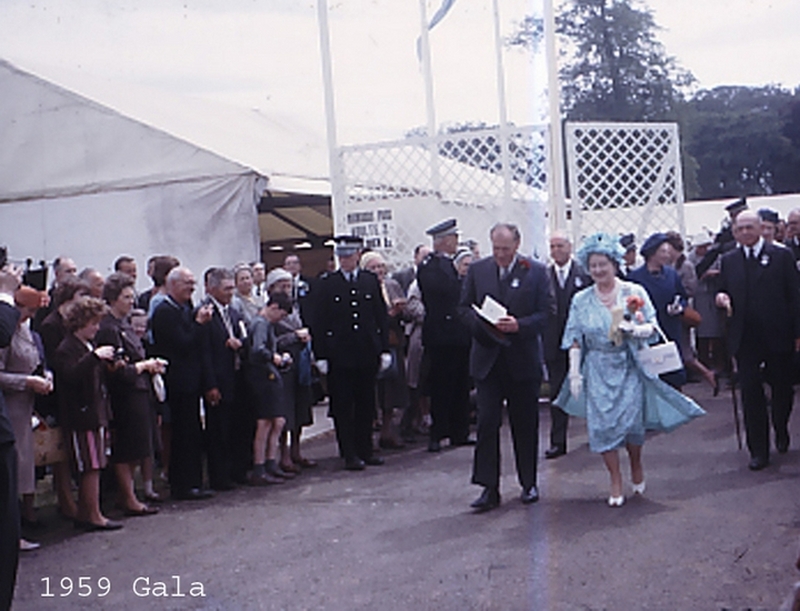 Between 1965 – 1974 the Gala Day lapsed, however from from 1974 -1992 the Gala Day was held in the public park before returning once again to the Tilework Park. 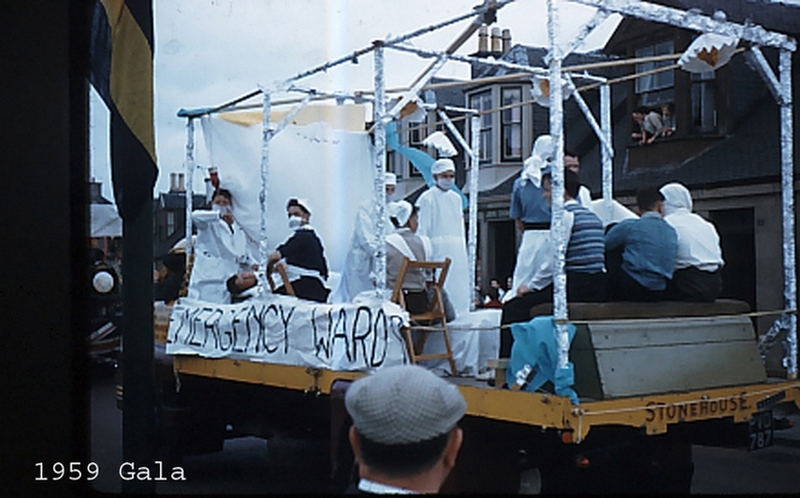 During some of these years a festival committee under the umbrella of the Community council took the gala day forward. 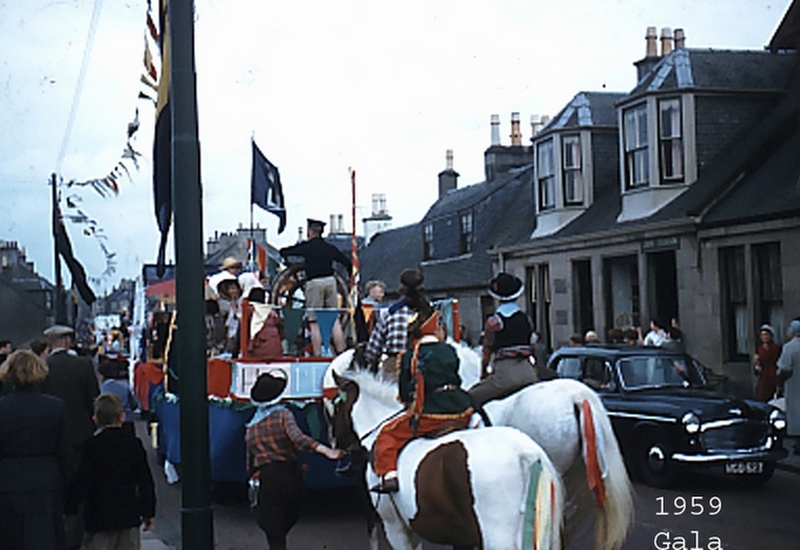 The Gala committee devolved its self from being a subcommittee under the community council when it was learned that if a community council failed to be formed all monies held would revert to the council and this included the gala committee. 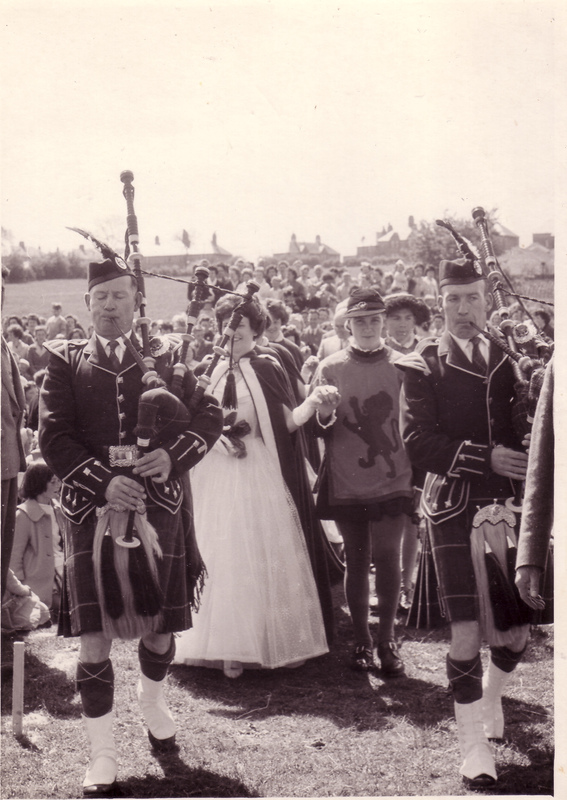 The gala committee was chaired by the late Fred McDermid for ten years. 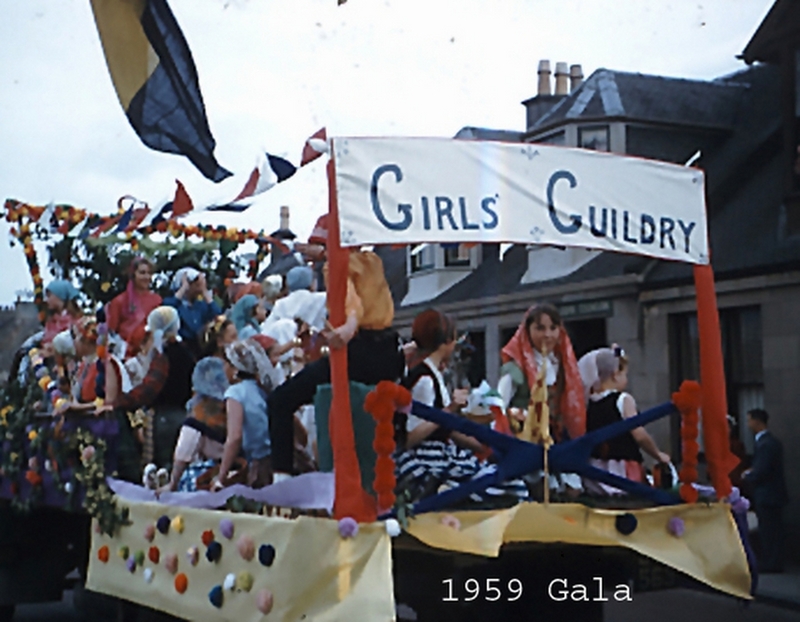 The gala committee continue to struggle for membership and its only through hard working individuals that the gala day has taken place over the years since 1974. 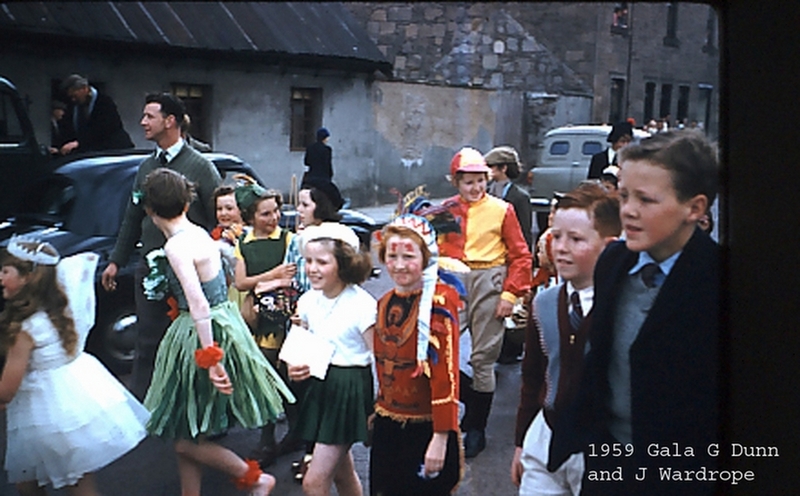 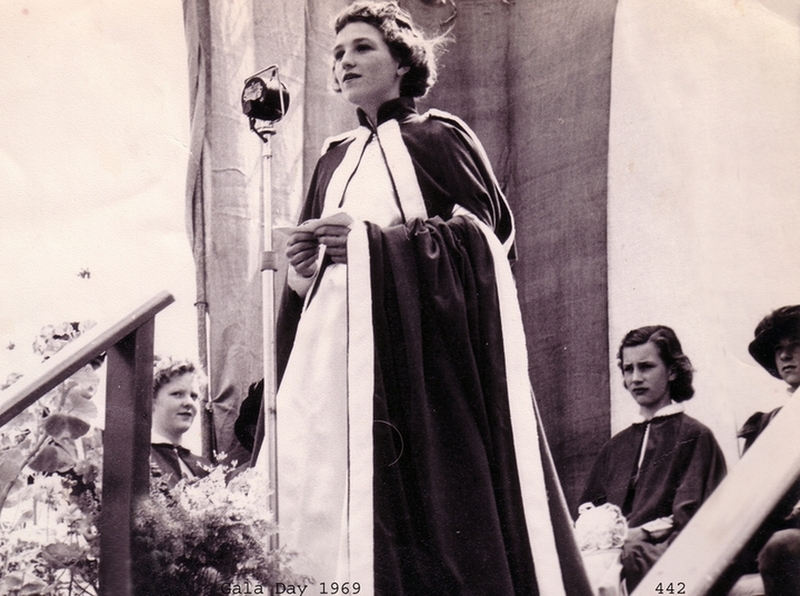 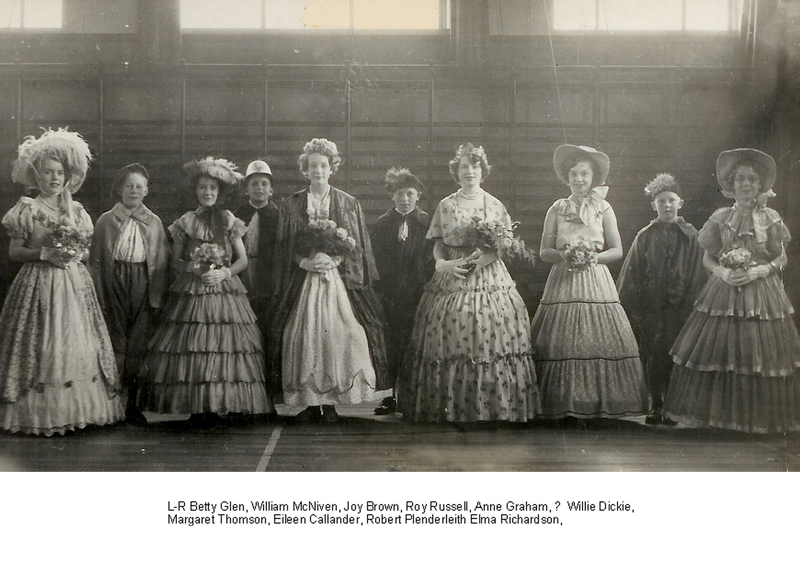 The heritage group has collated a number of photographs and gala day programmes. 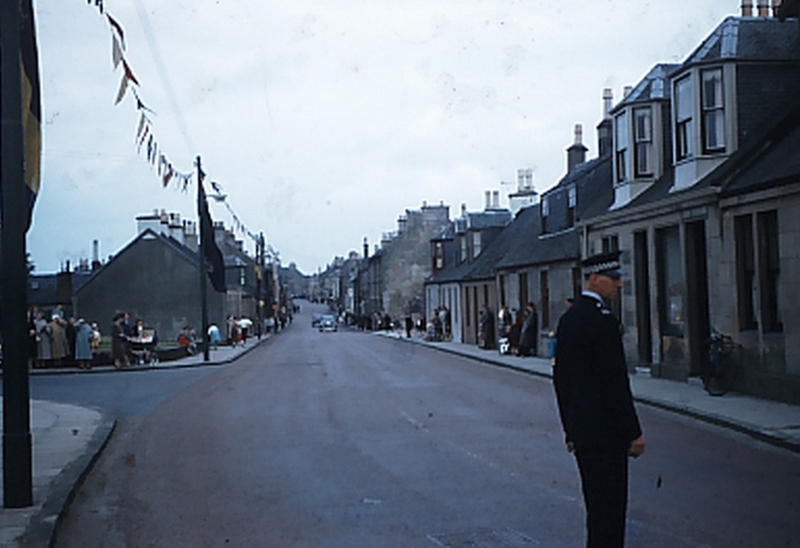 Listed below are some pictures related to years 1948-1965.